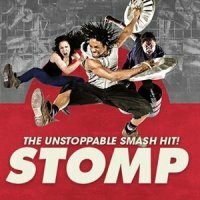 Tickets to see Stomp in the West End for less than half price! The noisy, rowdy and fun show "Stomp" has been playing in the West End for over 12 years - not bad for a show that features a load of old unwanted clutter and rubbish and includes amazing choreography and musical numbers, all created from everyday items we take for granted and toss away. From lighters to bin-lids and from bags to kitchen-sinks, the performers turn the Ambassadors Theatre near Covent Garden into a clattering and energetic space that combines rhythm, comedy and dance in equal measure. The show is booked to continue at the new Ambassadors Theatre venue into January 2018, but if you fancy going to see this lively show we now have a limited number of special discounted tickets, covering many shows until then. Click on the Book This Offer button for more options and to check for availability.